No child should feel left out during the holiday season. Thanks to the collective efforts of Play it Forward Pittsburgh and various businesses in the local area, toys are being donated by the truckload and distributed to families who might be needing a little extra help this year.This year, we at ABG Capital donned our elvish apparel and became temporary helpers for Santa as we filled up our back storage room with toys and games! Once the room was chock full of gifts, we loaded them up by the sleigh load, and our very own Denise Breide from VoIP Innovations and Kathy Scheidlmeier from Inspira (two of our portfolio companies) drove them down to the Century III Mall in West Mifflin, PA. 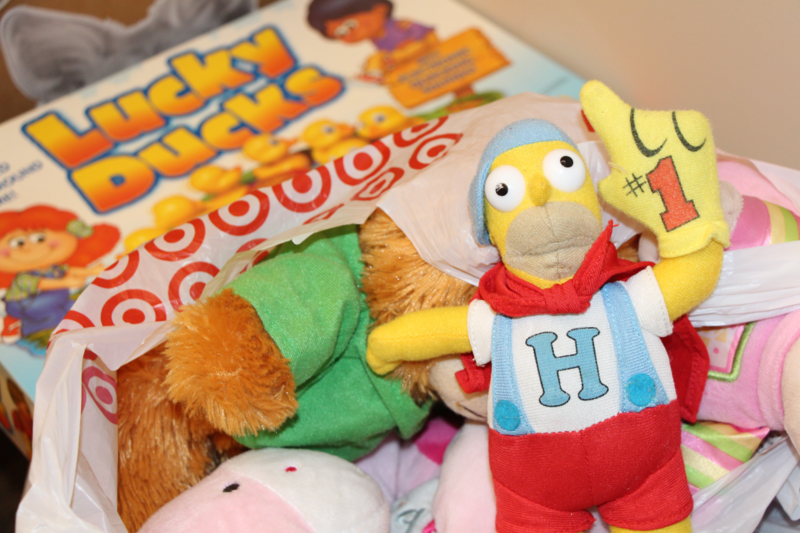 Although Play it Forward is no longer taking toy donations, there are still plenty of ways you can help. 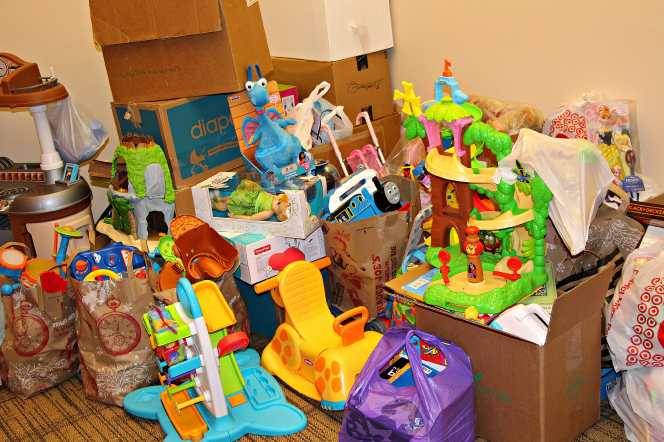 On December 11, ABG Capital will be heading over to the mall to volunteer some of their time and help organize and sort the generous toy donations from business across the Pittsburgh area. If you would like to join the toy drive, Play it Forward is still looking for volunteers to help organize toys on December 11 and to help with the shopping day on December 12. 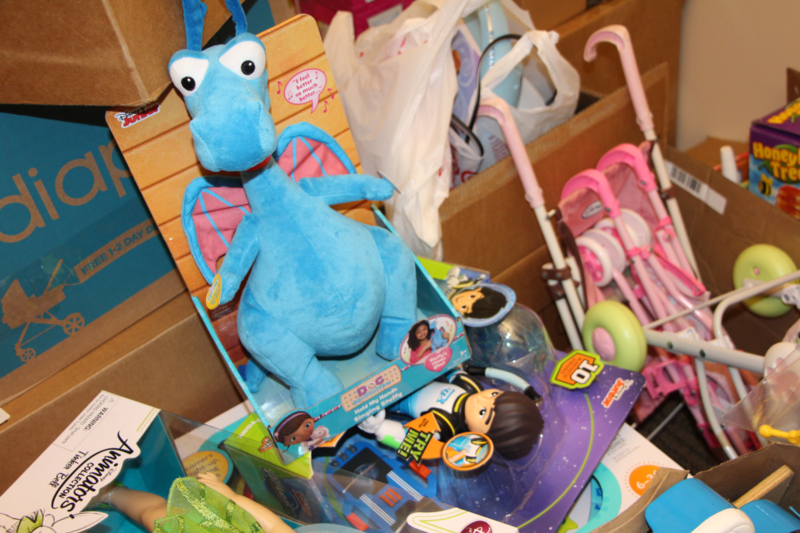 Those who volunteer on the day of shopping will assist shoppers in choosing toys for their children and help continue organize toys until they are all gone. If you don’t have the time to volunteer, but still want to help Play it Forward’s cause, they are still accepting donations through PayPal. These monetary donations will go towards business expenses associated with the drive. For more information about Play it Forward, visit their website. It may be last minute, but try to stop by and volunteer on December 11! We hope to see you there! This entry was posted in Culture, Employees, small business, Volunteer Work and tagged Play It Forward, toy donation, toy drive, volunteering by Natalie DeCario. Bookmark the permalink.